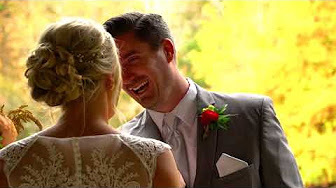 Capturing the whirlwind of your wedding day so you may enjoy the memories for many years to come! 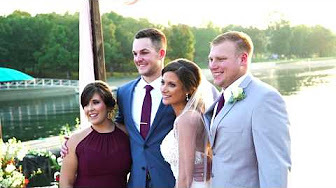 We are a husband and wife wedding videographer team in middle and east Tennessee, serving the areas of Cookeville, Crossville, Knoxville, Chattanooga, Nashville, and the surrounding counties. We are now also serving the area of Somerset, Kentucky and the surrounding counties. We are excited about extending into Kentucky! Our focus is on you as a couple. While we specialize in the art and beauty of the details in your wedding day, our main objective is to let your day be YOUR day, not ours! Check out our packages and wedding samples and see if our vision matches your budget, your style, and most importantly, your ideal way to capture your wedding memories. "This company is fantastic. Their videographers are invisible but everywhere at the same time. If you are thinking about video: get these guys. If you aren't thinking about video with these folks: you will be sorry. I have never seen a video shot with such a high degree of production skill both on the camera and in the post-prod suite. Plus there are no mounds of equipment sitting around everywhere. It would not surprise me to see this team credited with some commercial TV work in a short while. Get them while you can and remember, everyone can shoot but a good editor is truly a magician . . . And Lemon Drop is among the best I have seen not on a movie lot or TV show set."